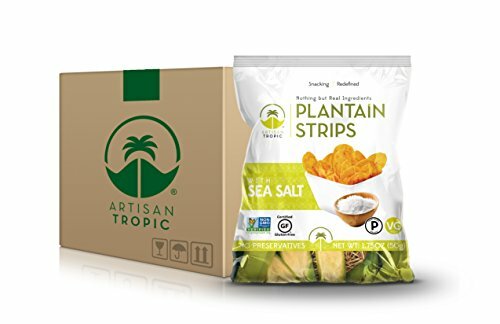 Artisan Tropic Sea Salt Plantain Chips are a taste of the tropics. They provide the perfect crunch for a healthy snack or side dish. Because of the long strip cut they have, they are perfect for dipping in guacamole or salsa. And no worries, we use Sea Salt to provide you with more beneficial minerals! Thats what we like to call: Healthy. Snacking. Redefined. If you have any questions about this product by Artisan Tropic, contact us by completing and submitting the form below. If you are looking for a specif part number, please include it with your message.